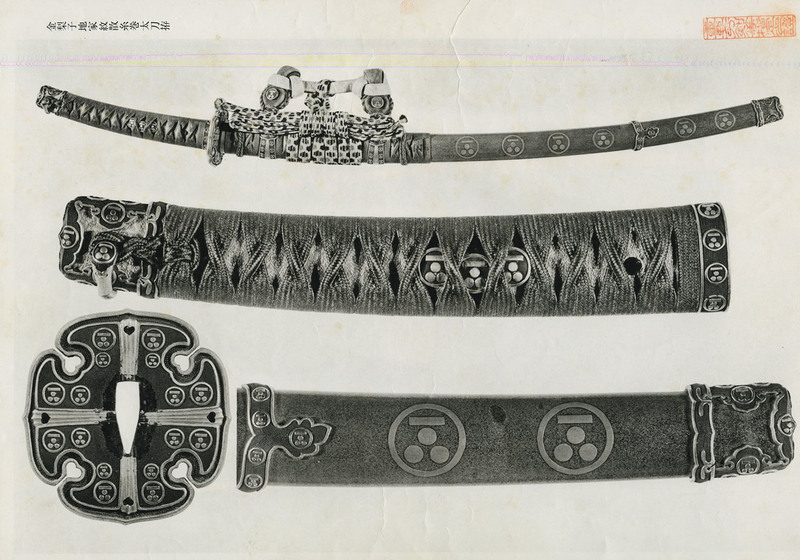 Designated Juyo Toso (Sword Mount) at the 25th shinsa held on the 1st of November, 1979. 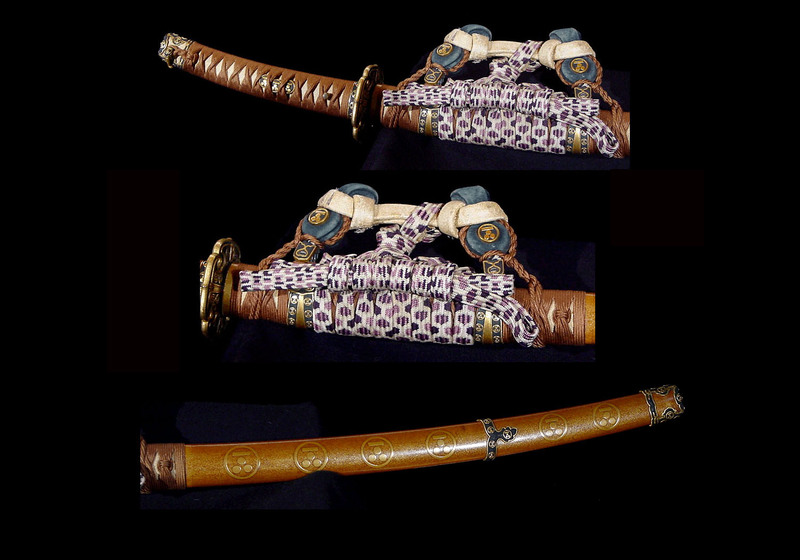 Item: Gold nashiji ground itomaki tachi koshirae with a scattering of family crests. Dimensions: Entire length: 95.8 cent. ; Entire curvature: 4.8 cent. ; Handle length: 23.4 cent. ; Handle curvature: 0.6 cent. 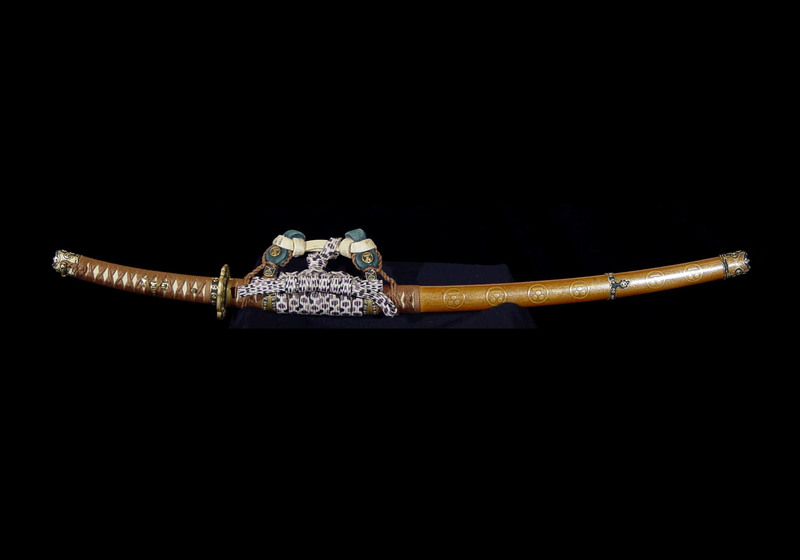 ; Saya length: 72.0 cent. ; Saya curvature: 2.6 cent. 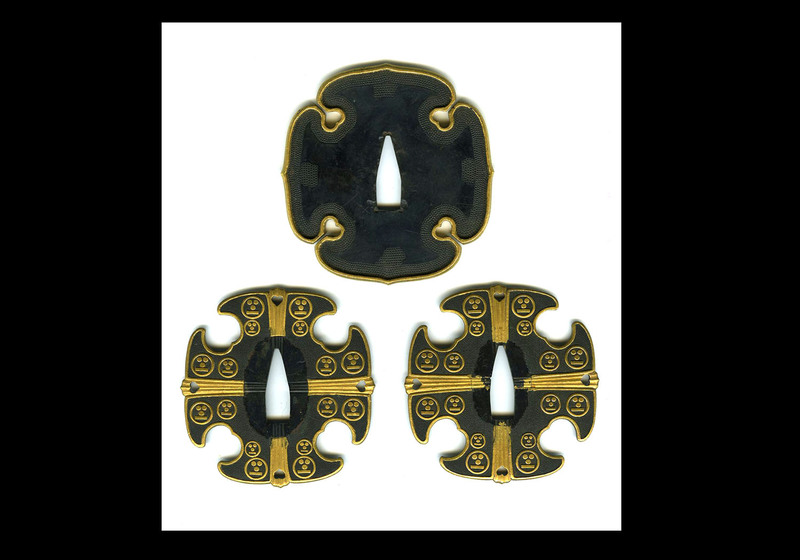 Description of the Mounts: All of the metal fittings are shakudo with nanako grounds and a scattering of crests consisting of three stars and the character for one (ichi), high relief carving, iroe and gold rims (T.N. 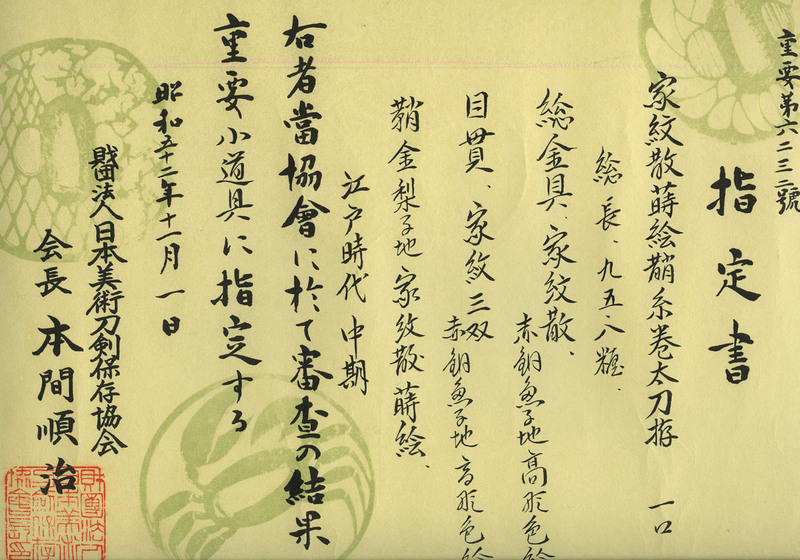 This is the family crest of the Mori family.). 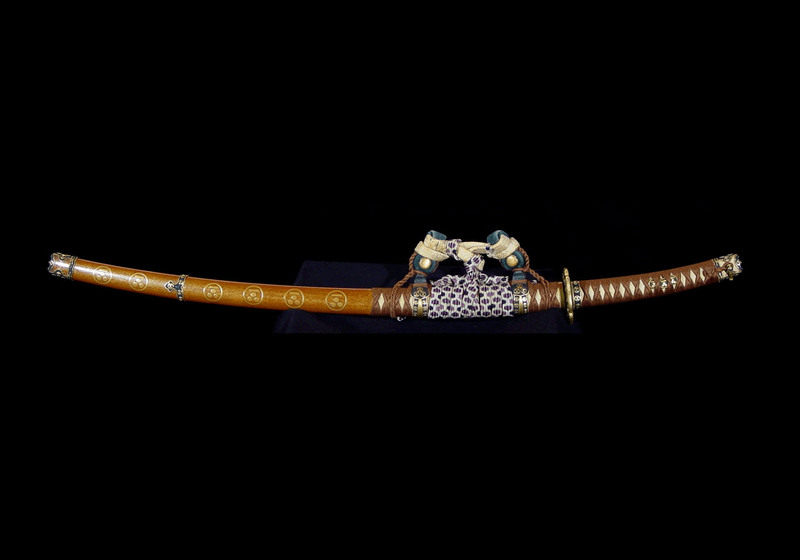 The tsuba is aoe shaped, shakudo with a nanako ground and gold rim. 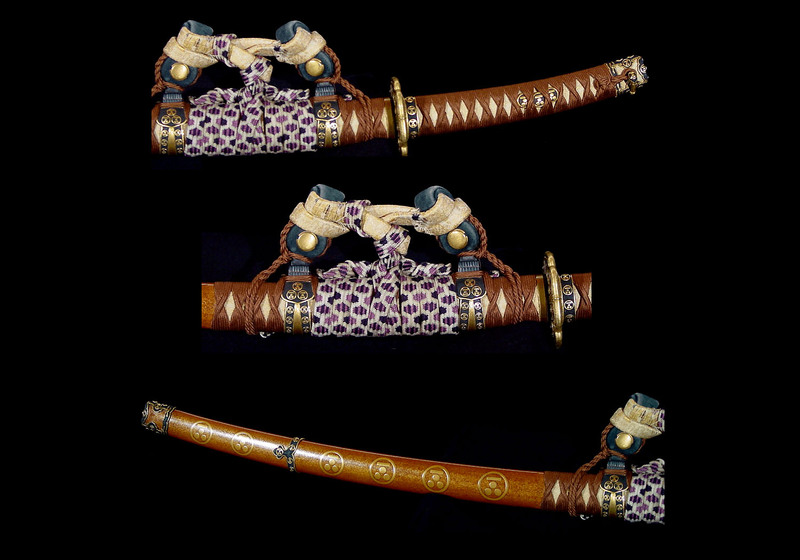 The o-seppa are shakudo with a nanako ground, four boar’s eye sukashi, a scattering of crests consisting of three stars and the character for one and a gold rim. 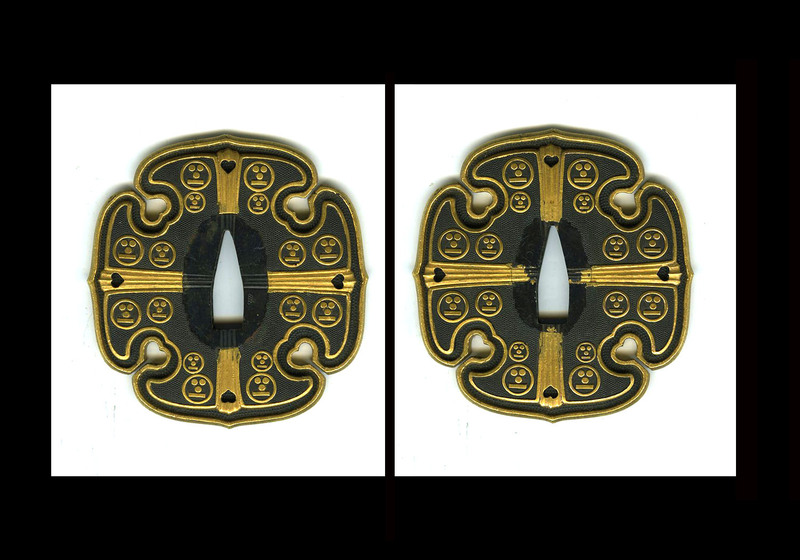 The menuki are three of the same crests, shakudo with a nanako ground, high relief carving, iroe and gold rims. 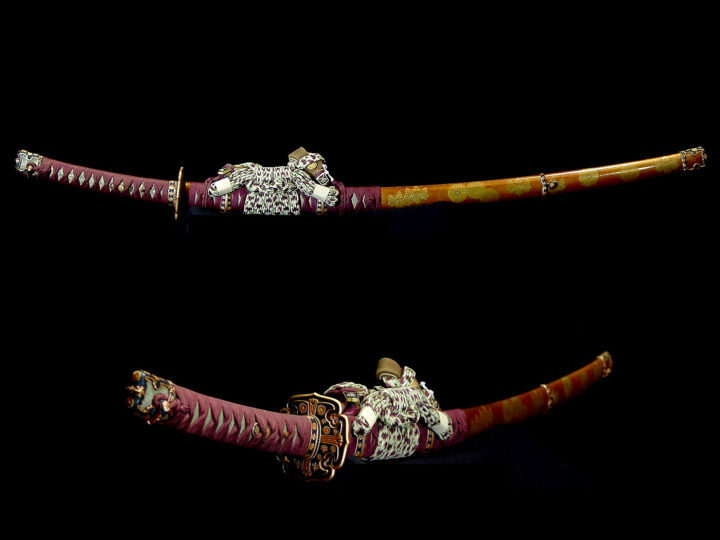 The handle is twist wrapped with golden-tan silk cord, and below the wrap is a sheet of silk brocade with a white ground. 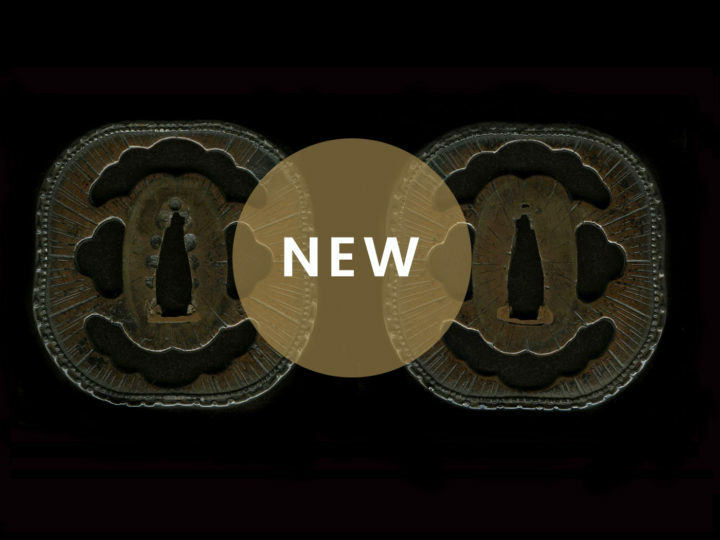 The sageo has lozenge shaped decorations. 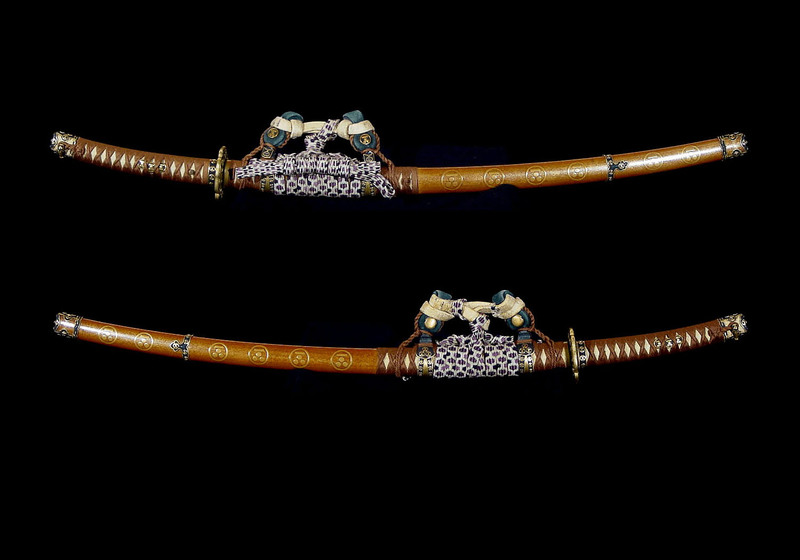 Discussion of the Mounts: The saya has a gold nashiji ground with a scattering of family crests. The metal mounts are made in a similarly careful fashion. 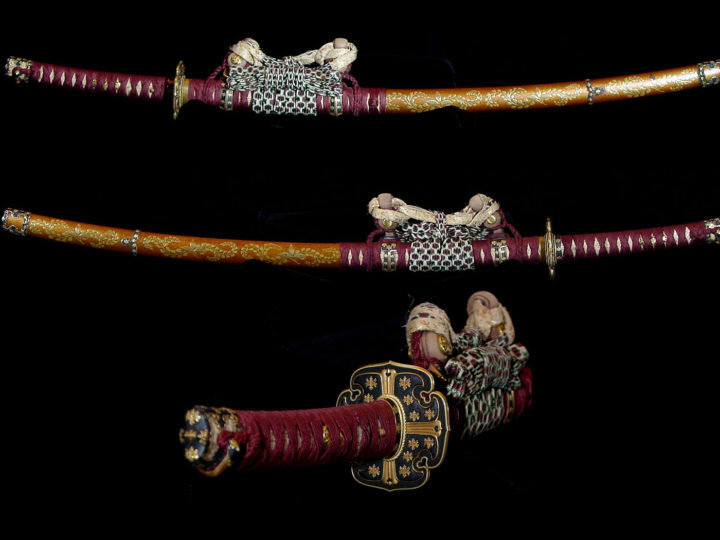 Naturally, this is the itomaki tachi koshirae of a daimyo family that was used for ceremonial functions. 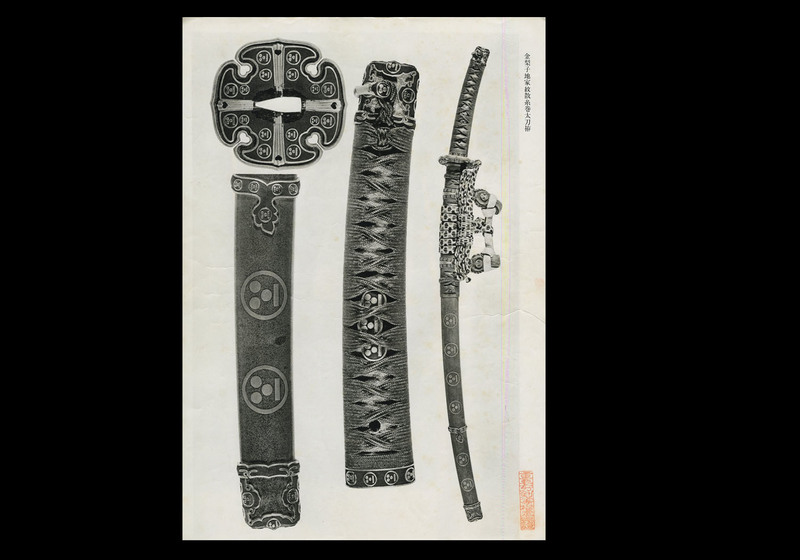 This koshirae is a fabulous piece of history and would be the highlight of any collection.